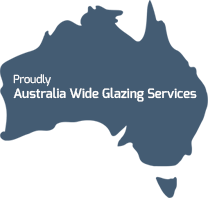 Industry-leading glass and double glazing options delivered with friendly service from an experienced team of glass experts in Perth, WA. With extensive experience in new builds and improvements to homes and commercial buildings, Next Generation Glass and Double Glazing is an industry leader in the design, fabrication and installation of superior custom windows, doors, splash backs, bathroom glass, glass fencing, and other glass products. Trust the experience and expertise of the team at Next Generation Glass Perth to guide you in making smart decisions about the right glass for your building.